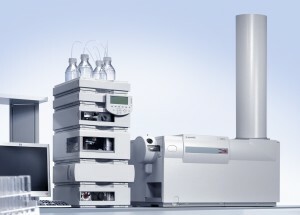 The QTOF‐GCMS instrument combines well established gas phase chromatography techniques with the excellent mass accuracy of the quadrupole time‐of‐flight (QTOF) mass spectrometer. This technique excels in the identification of semi-volatile species through the application of a temperature ramp, chromatographic separation, mass selective detection and fragmentation in electron impact (EI) or chemical ionization (CI) modes. Typical mass resolution of a quadrupole mass spectrometer is 1 Da (mass accuracy in the 0.2‐3% range), while the QTOF mass spectrometer typically exhibits mass accuracy in the 1‐5 ppm range. An increase in sample sensitivity and decrease in background signal can be achieved through the application of ion specific Extracted Ion Chromatograms. 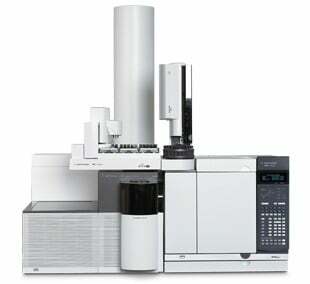 Combine QTOF-GCMS and QTOF-LCMS to turn UNKNOWNS into KNOWNS and most definitively identify organic sample composition.